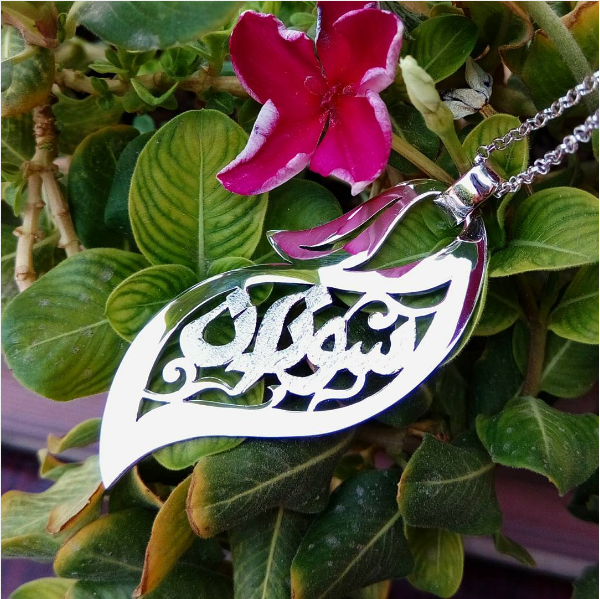 Synonym of earth and life, the leaf design is for those seeking an elegant design with connection to nature. Matching earrings and bracelet can complement this pendant. The leaf can contain one or two names and up to five initials.